For 15 years the company grew from strength to strength, but unfortunately in 1986 the company fell into bankruptcy. Ravenheat Ltd, a gas boiler manufacturer in the North of England, subsequently bought the company. Over the next 10 years the brand suffered greatly as Ravenheat Ltd experimented with turning the Hunter Stoves brand into a range of gas stoves and fire products. In 1996, two ex-directors of another stove manufacturer bought the Hunter Stoves brand and re-located the company to the South West of England to a factory near Exeter. Since 1996 Hunter Stoves has once again established itself at the forefront of the market place, with a loyal dealership network. Initially, the company set about re-designing a new range of stoves, now the Herald range. From here the company grew, expanding its operations into the adjoining factory units and forming a Research and Development department to focus on designing stoves that are more efficient. In 2003, Hunter Stoves bought the Parkray brand and moved its operations to the Exeter factory, continuing to develop both the Parkray and Hunter brands. In 2008, Hunter Stoves Ltd bought a site in Camelford, Cornwall, and initially re-located the Research and Development department there, but it now incorporates the manufacturing of the stoves as well. 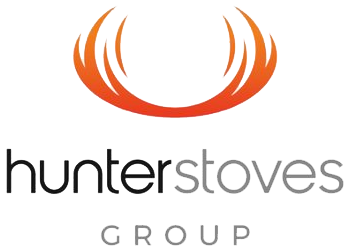 In 2015 we rebranded as the Hunter Stoves Group, bringing all stove brands under the Hunter Stoves Group umbrella, including Herald, HS Gas, Di Lusso, Avalon, Cleanburn, Eco-ideal and Parkray brands. There are over 200 different designs of multifuel and wood stoves across the brands. The company employs over 55 people and distributes to most western European countries, South Africa, New Zealand and Japan. At Hunter Stoves Group we are committing ourselves to the research and development of stove technologies that are highly efficient and can provide ‘green’ heating for the 21st century. The increasing depletion of fossil fuels means that advancements in this technology are becoming ever more important. At the Hunter Stoves Group we recognise this and our products are increasingly meeting these demands, keeping us at the forefront of the market. As a business we have also lowered our carbon emission, most notably at our Cornwall factory which is powered by solar panels. As part of our ongoing commitment to preserving the natural environment, in November 2017 we proudly became Rowan members of the Woodland Trust, the UK's leading woodland conservation charity. Our support will help them to plant more trees, protect native woodland and wildlife, and inspire everyone to enjoy and value our woods and trees. We believe that reforesting the UK is vital in ensuring the healthy future of our natural environment, and that by doing so we can preserve our country’s natural heritage for it to be enjoyed by future generations.